For a small nation, Wales has produced a unique roster of acting talent. Few, however, could equal the level of film stardom experienced by Stanley Baker. His remarkable rise to fame took him from an impoverished childhood in the Rhondda Valley of South Wales to international stardom and acclaim in films such as Zulu and Accident. As well as being an important figure in front of the camera, he became a producer and studio executive, while never losing his connection to his Welsh background. Over the years, the world’s press and his fans have been attracted to the "rags to riches" story of a poor boy making good, and to how the on-screen tough guy was in private a tender, loyal family man. This biography is the first in-depth examination of the life and career of a "boy from the valley" who managed to avoid a life working in the mines and instead became an international star. 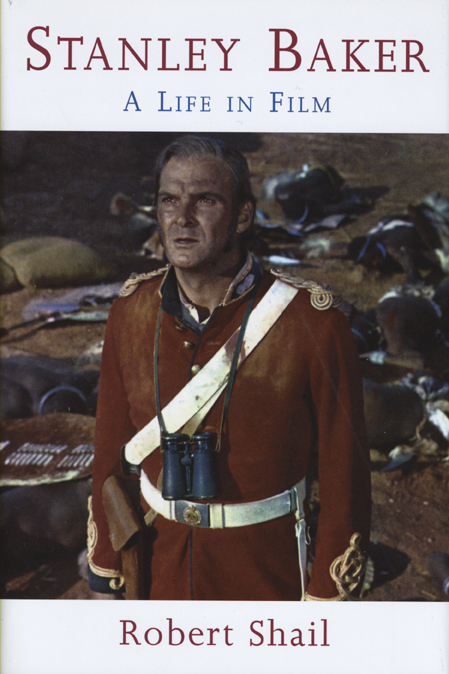 Robert Shail’s fascinating portrayal sheds considerable light on the image of Welsh national identity and masculinity that Stanley Baker projected.